Smuggler'ss Gold  is a 17yr Old Single Scotch Whisky from the Speyside region of Scotland that has a warm golden brown colour with a clean delicate aroma of toasted barley and occasional hints of vanilla and toffee, with a slight peaty flavour, distinctive of the Speyside area. Smugglers Gold Scotch comes with a presentation box that has a gold seal stamped on the front of the box. Included is a free surprise gift. Wholesale promotion, Smuggler's Gold  Single Scotch Whisky, sold per case containing 12 bottles of 17yr Old Single Scotch from the Speyside region of Scotland. These cases are in the original packaging as dispatched from the distillery. The labels have been individually hand applied, and a wax seal placed on the cork stopper to show the companies seal for authenticity. 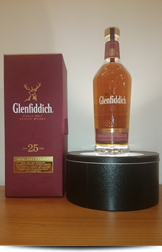 The description on the whisky on the reverse label is of a warm golden brown colour with a clean delicate aroma of toasted barley and occasional hints of vanilla and toffee, with a slight peaty flavour, distinctive of the Speyside area. 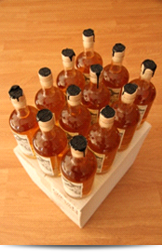 Sold in boxes containing 12 bottles. Christal from the House of Louis Roederer Champagne. Crystalline elegance has a summary character due to the splendour of the grapes having been cultivated in the Champagne soil to produce the perfect balance in collaboration of experts. 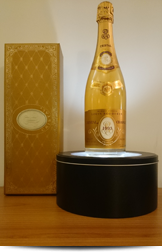 A rare and valuable addition to any Champagne collector. 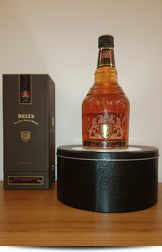 Bell's Royal Reserve 21 Year Old Whisky. Bell's Royal Reserve 21 Year Old Whisky. 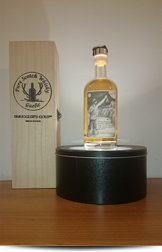 One of the rarest Bell's whisky's and virtually impossible to get hold of. It is no longer being produced, this is one of the very early editions in very good condition in its original presentation box. New fill were originally put into the cask in the mid 1960's before their release in the middle of the eighties. 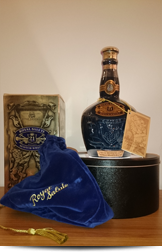 Chivas Brothers 1992 Royal Salute Directors Celebration Reserve Whisky. This is a 1992 edition of Chivas Brother�s whisky, produced 2 years after the special edition of Royal Salute Directors Celebration Reserve that was produced in honour of their receipt of The Queens Award for Export in April 1990. This edition has its original box, tag and presentation bag, the condition is very good and seal is mint. Scotch Whisky is usually labelled with the strength ABV, age and volume. 40% vol. 21years, 70cl respectively. The volume (or ABV) of this whisky is 40 percent, which is common for blended Scotch although many single malts whiskies are bottled at higher strengths these days. Founders Private Cellar, English Single Malt Whisky. Barrogill Whisky from Inver House Distillers was based upon the Highland style, personally blended by His Royal Highness, Prince Charles. The blended malt is mainly produced from distilleries in the Northern Part of the Highlands. It was the first blended whisky produced from this region. The finish is long and smoky with a touch of peat and honey that is expected of a Highland malt. With echoes of smoke and barley sweetness the palate is of medium-body and quite smooth, giving a sophisticated finish. 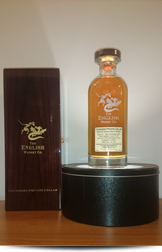 The packaging displays a Baronet crest with a watercolour of Castle Mey � painted by Prince Charles. 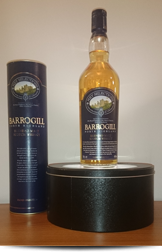 Inver House highly recommends the blended malt of Barrogill whisky, which was personally blended by Prince Charles to produce, an excellent malt. Speaker Martin's Highland Single Malt was selected as a special edition of Macallan 10 year old Whisky by himself and a number of colleagues. Otherwise known as Michael Martin, his whisky was for sale at the tourist shop in the Houses of Parliament, which sold out very quickly, once Parliamentary whispers began to circulate of his impending demise. The colour is pale gold, and there is a hint of sweet toffee, balanced with dried fruit and sherry to be recognised. The palate is smooth, with dried fruit reminiscent of fruitcake, sherry sweetness and wood smokiness. The finish is long lasting with a hint of wood spice. 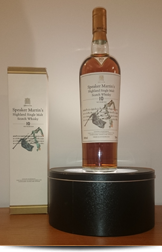 The packaging is the older version of Speaker Martin's Whisky that comes from the Speyside region of Scotland, matured and bottled at the Macallan Distillery in Craigellachie. Dewar's is the most award winning scotch whisky company in Scotland and has a long standing relationship, by appointment to the Royal House Hold. 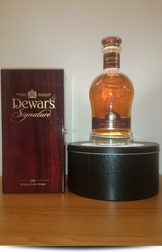 Dewar�s Signature was chosen as the World Whisky Award 2010, having characterised tasting notes that change long after the first taste. Ranging from the lightness of a Speyside whisky to hints of smoke and light pettiness. This dram of whisky will compete well with Johnnie Walker Blue Label, setting aa new standard of excellence. Each bottle of Dewar's Signature is numbered by hand and its quality guaranteed unconditionally. The Rare Oak 25 Year Old is married together in small batches to create a truly luxurious and velvety smooth single malt for the connoisseur. Glenfiddich uses matured European sherry butts and American bourbon barrels for a rich, sophisticated character and depth of flavour. Over a quarter of a century of careful maturation resulted in a complex and intriguing whisky that is an inspiration to the palate. 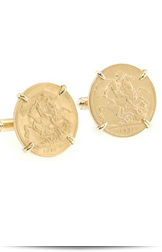 One spectacular pair of full gold sovereign cufflinks, in a four claw mount with t-bar fittings. Versaci offers fine glass that is made by the Rosenthal part of the Wedgwood Group. 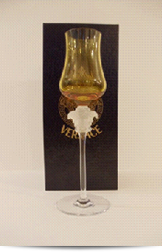 We have a limited number of Versaci products in coloured glass available. Please check with us on availability and colour. The quality and craftmanship is of the absolute highest quality. Each piece has its own certificate of authenticity and is made by hand. 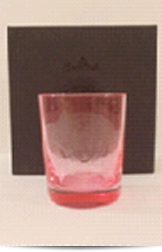 Double Rocks - MEDUSA LUMIERE TUMBLER HOLDS 12 OUNCES.